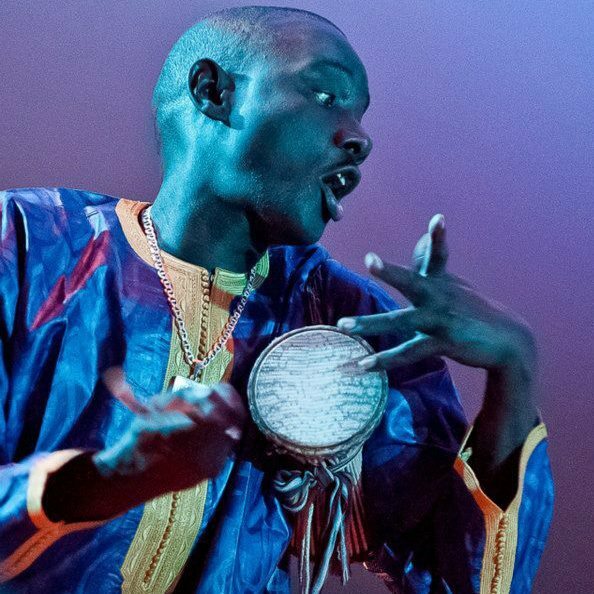 Massamba Diop is perhaps the world’s most renowned master of the Tama, a talking drum from Senegal, West Africa. Massamba came into the limelight as lead percussionist and a founding member of Daande Lenol (The Voice of the People), the band of Senegalese super-star Baaba Maal. 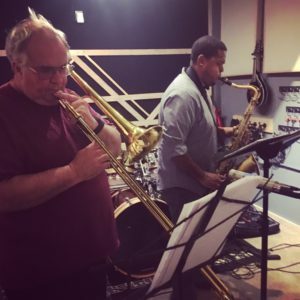 Over the past 40 years the group has been playing all over the world, working with many notable musical figures and releasing dozens of albums, including “Firin’ in Fouta”, which was nominated for a Grammy for Best World Music in 1996. Massamba himself has also performed and/or recorded with the likes of James Brown, Carlos Santana, Herbie Hancock, Harry Belafonte and Angelique Kidjo. He appeared on Peter Gabriel’s landmark release “Passion”, which won a Grammy in 1990. He has also been part of many major international events like the 2004 Nobel Peace Prize Ceremony in Oslo, the 2012 Olympics in London, and joined Stevie Wonder in 2009 to perform “Happy Birthday” for Nelson Mandela to close out Mandela Day at Radio City Music Hall. Most recently, Massamba has received much acclaim for his collaboration on Marvel’s Black Panther soundtrack, providing the drumming for King Tchalla’s theme music, heard throughout the film whenever the title character makes an entrance.